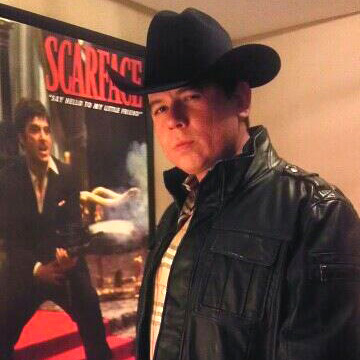 A California man jailed on federal cocaine trafficking charges can, of course, be seen proudly posing in front of a “Scarface” poster in a photo uploaded to his Facebook page. On March 25, federal agents arrested Cesar Anguiano, 35, for allegedly transporting about 15 kilos of cocaine to Ohio, where the drug was intended for customer Mark Walker (whose rap sheet includes a narcotics trafficking conviction). In addition to seizing the 15 bricks of cocaine from a car driven by his brother, agents recovered more than $275,000 from a Chrysler being driven by Anguiano (who is locked up without bail). 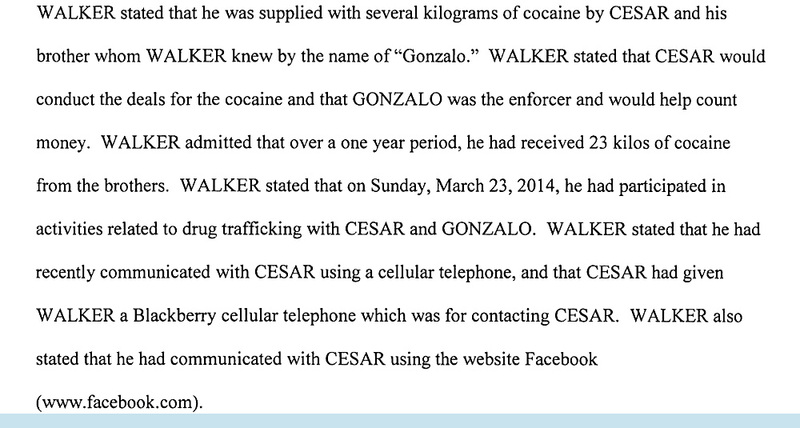 As detailed in an April 14 U.S. District Court filing, investigators want Facebook to preserve information from Cesar Anguiano’s account so that it can be reviewed for evidence of any contact with Walker (who has also been charged with conspiracy to distribute cocaine).